– Cut it equally to 10 to 12 equal pieces and put them on the flour surface. 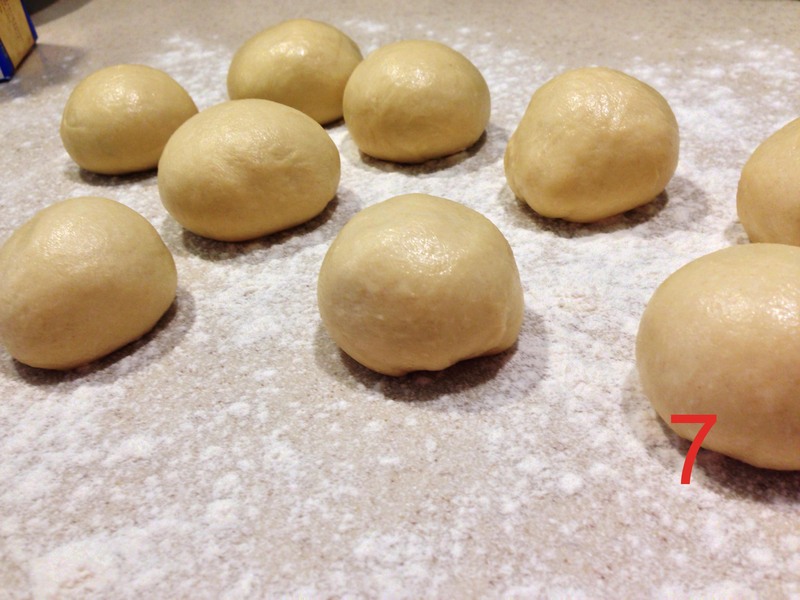 Put some butter on the surface of the dough pieces so they stay moist and don’t dry up. -Again cover them up with a plastic wrap and wait for 10 to 15 minutes, you will notice their size is doubling again. In the mean time you can start heating up your oven up to 350F.